Silvelox became an ideal partner of The Garage Door Centre over 12 years ago when they first came to the UK. 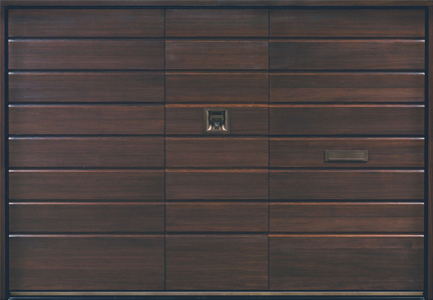 They were instantly recognised as a truly unique manufacturer of some of the world's finest garage doors, all down to their traditional carpentry skills and appreciation of timber as an invaluable material. 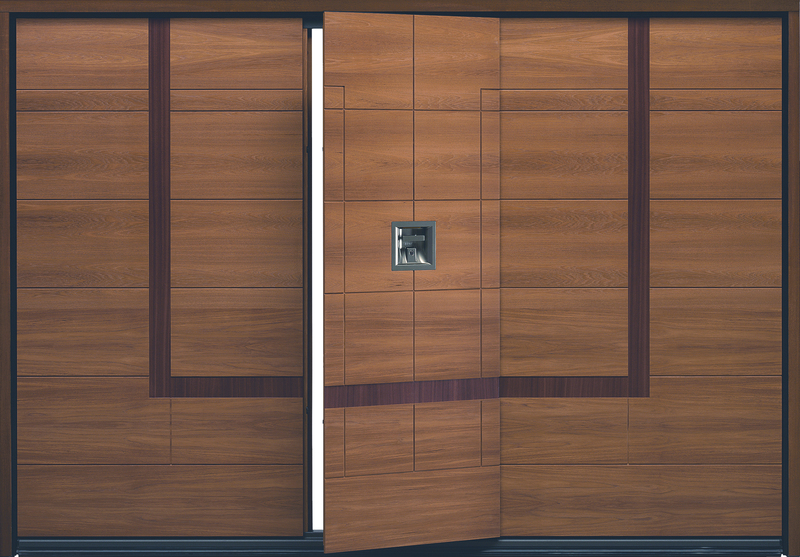 Manufactured in Italy for over 40 years now, their doors consistantly bear a great sense of character in addition to their high quality control and craftsmanship. 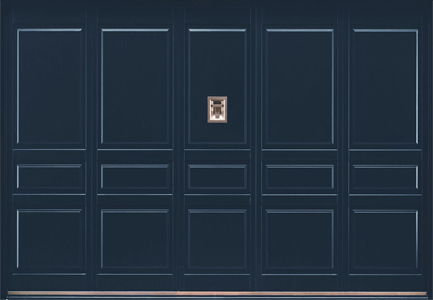 We are able to tailor the doors to your unique specifications, whether they be Silvelox's Up & Over with hidden pedestrian door, or the trackless Overlap sectional. 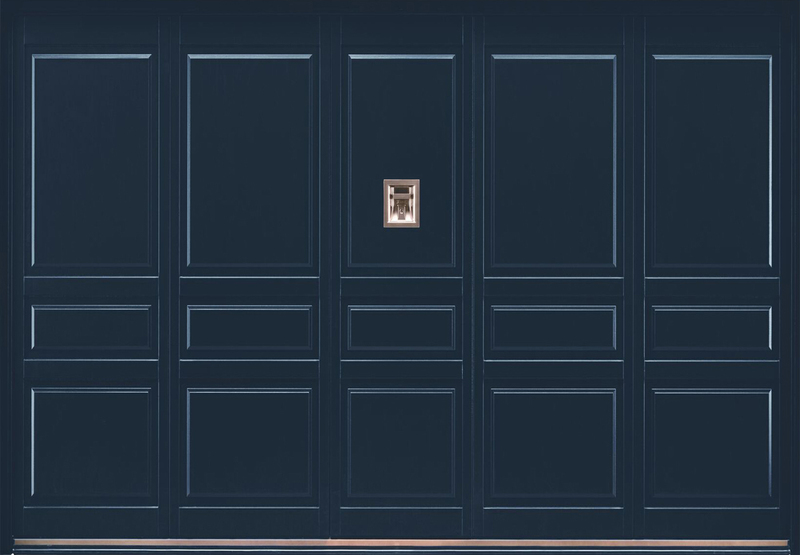 Harmonsing the your property's external doors, Silvelox's front entrance doors can only enhance the aesthetic of your garage door - we are able to match them to your Silvelox garage door with our bespoke, quality service. 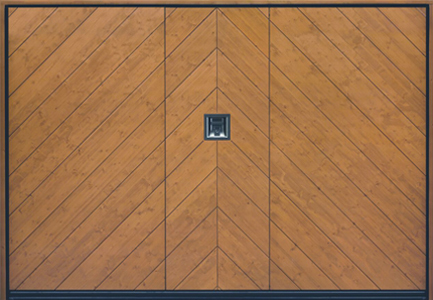 Plus - with a commitment to creating doors tailored to the end-users, there are over 20 wood types, various lacquers and glass glazings to choose from. Unique counterbalance operation with built-in weights for smooth and easy operation, not involving any springs. 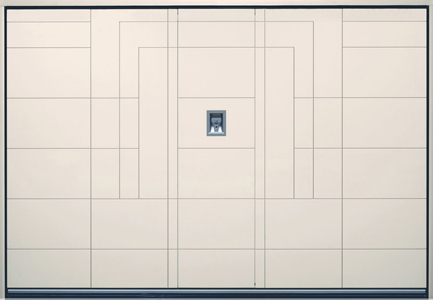 80mm thick modular sandwich door panel provides excellent acoustic and insulation properties. The automatic option is built into the upper crossbeam of the frame, taking up no internal space. 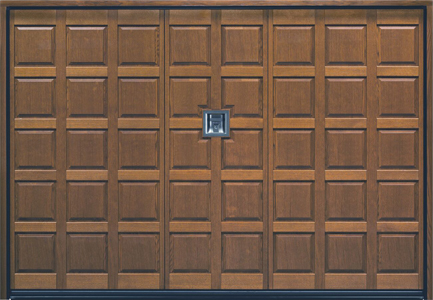 The option of a pedestrian door built into the garage door is unique, and a desirable, practical solution that does not compromise the appearance of any of the standard door designs available. 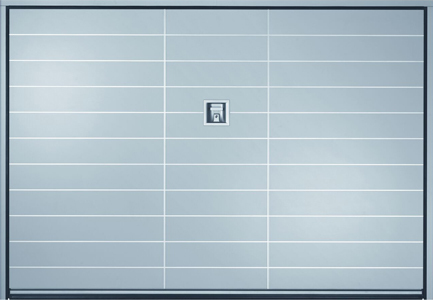 With just one turn of the door handle in the opposite direction, you have yourself a pedestrian door with a threshold as low as technically possible. Two doors in one! Bespoke, exclusive designs can be produced for individual specifications to complement the aesthetic of any property; drawings are produced for your evaluation and approval. There are choices available in regards to the species of timber, ranging from Oak to the most popular - Okoume. 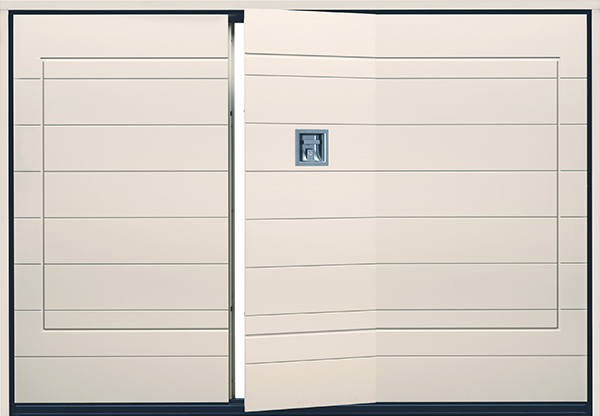 The standard series Secur range offers a significant level of security with high quality locks and steel substructure. 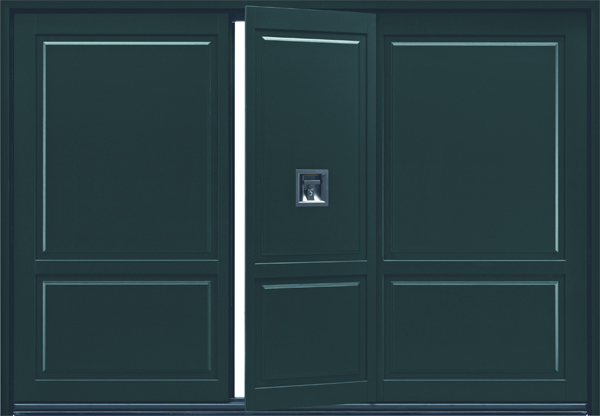 The Secur door is approved to Class 1 of European norm EN 1627. 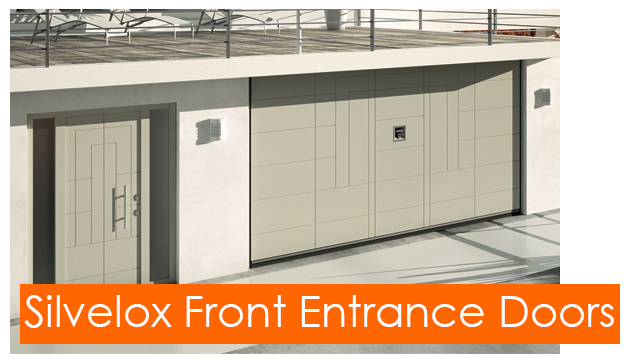 Silvelox produce a range with specific attention to security: The Series Secur Plus. 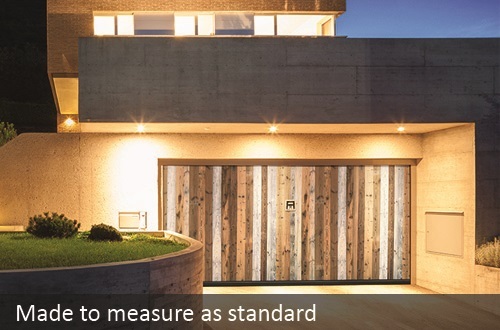 Certified by UNI ENV 1627 Class 3 and approved by the German criminal investigation police, the door protects itself with a paramount level of protection against burglars, however the external appearance is practically identical to the standard range of Silvelox doors. 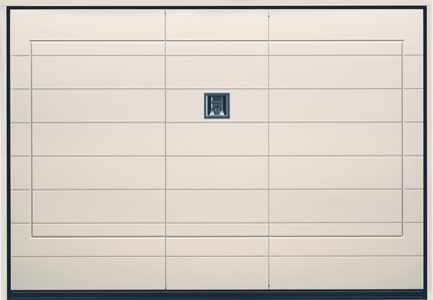 Silvelox’s garage doors are manufactured with safety as their paramount initiative; with finger protection in the garage and pedestrian door, anti-accidental door drop protection and photocells as standard in the motorised version, you assured of the door’s ability to operate safely. 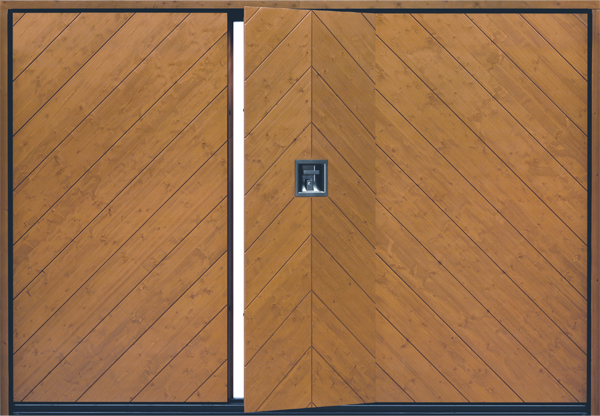 The door fully complies with the directive 89/106/CEE (CPD) and is fully CE compliant. 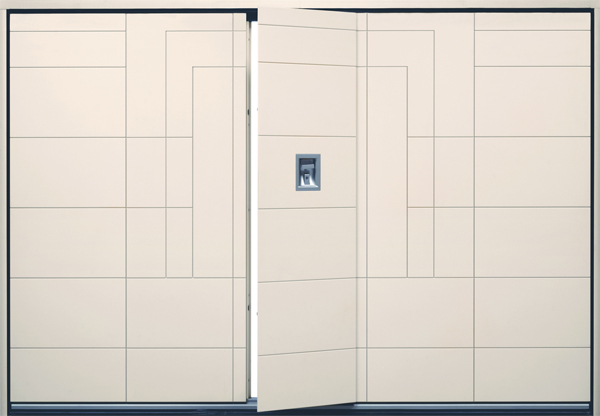 Right Images: Close ups of the pedestrian door that is in the centre of the up & over door - note the hidden hinge, perimeter seal on the four sides and the vertical bolt. 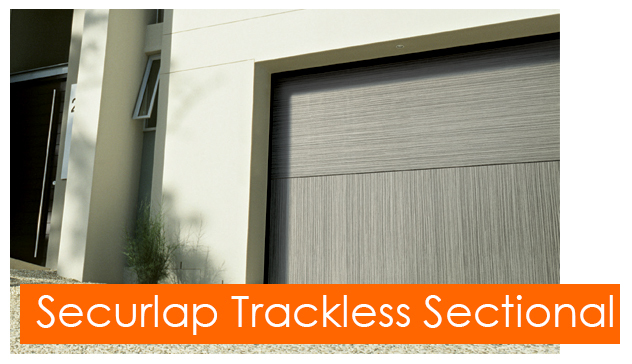 The entirely trackless sectional garage door... the Securlap. The Silvelox Overlap Plus is an exceptionally unique product. 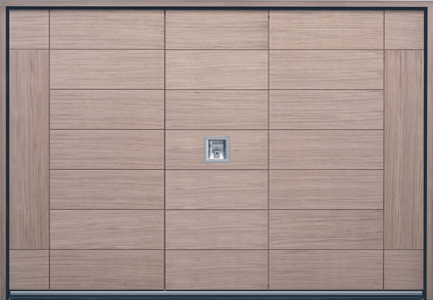 Unlike the average sectional door, the Overlap is entirely trackless and comprises of only two solid door panels. 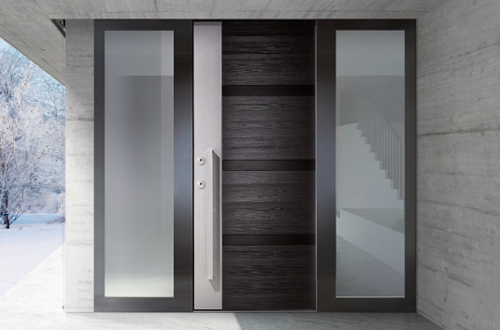 The door’s movement appears sleek with every operation, coinciding with its trackless properties to enhance its minimalistic aesthetic. 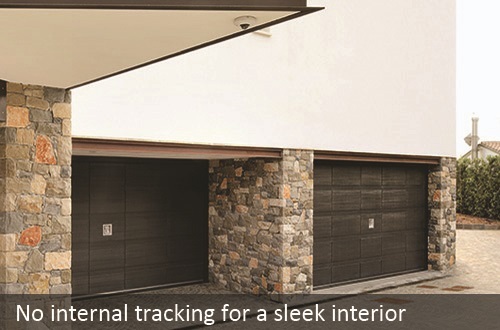 It offers every requirement of a garage door, however optimisation of modern and unique technologies ensures a sleek operation and aesthetic, inside and out. 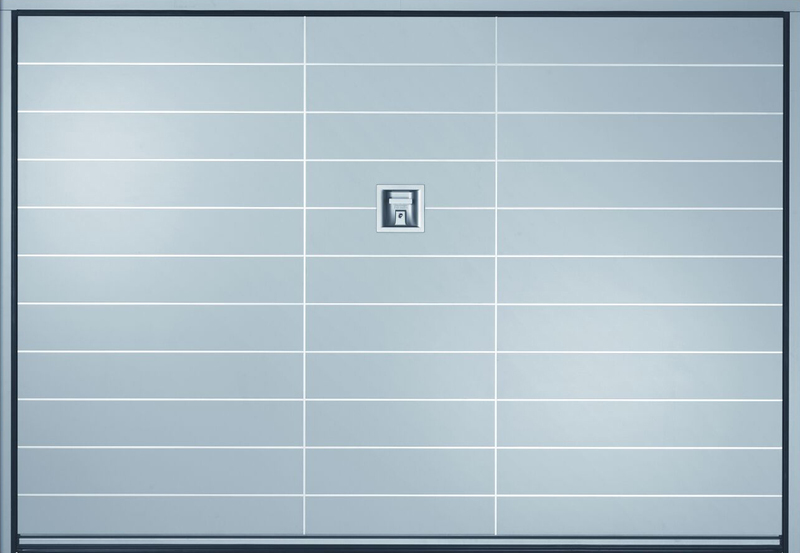 How does the door's unique operation work? 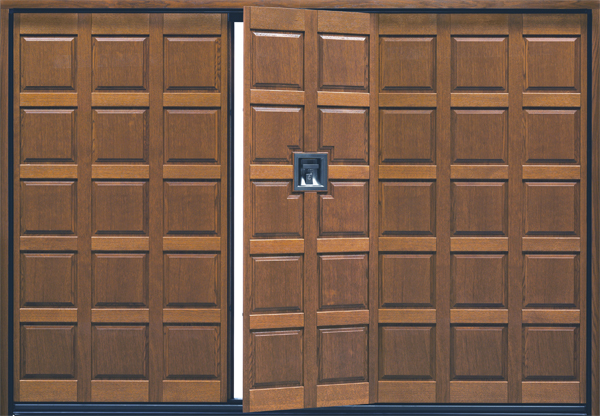 The two solid door panels are centrally hinged and lift vertically upon opening, halving the usual amount of internal space required to operate. The door panels are lifted using a counter weight system which uses the tried and tested system of weights and pulleys. 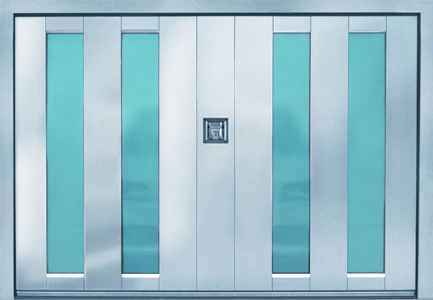 The weights, situated on either side of the door panels, are enclosed in steel casings with the cables running over the top, which lifts the door panels from either side. Only 200mm of headroom is needed and the operator is situated in the head-bar. 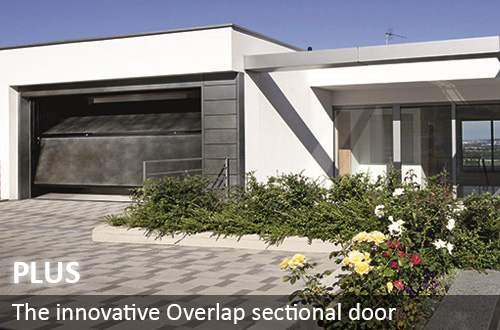 The Overlap Plus offers the same excellent levels of security and insulation as the standard range of Silvelox doors, exceeding the security of competitors. Safety is also a paramount priority to the Silvelox trackless, including features such as a manual release as standard for overriding in the event of a power failure. 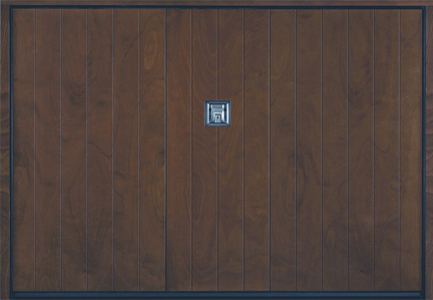 The construction of the wooden panels also contributes to the significant amount of strength of the door, and the standard locking system is comprised of a 2-point steel mechanical latching system; this has integration into the electric operation for releasing when operating the motor drive. Being purpose made, you can utilise the interior dimensions of your garage for whatever its intended use may be; whether it stores your car, or is a gym, playroom or office, the Overlap’s space-saving qualities exist for whatever your requirements may be. 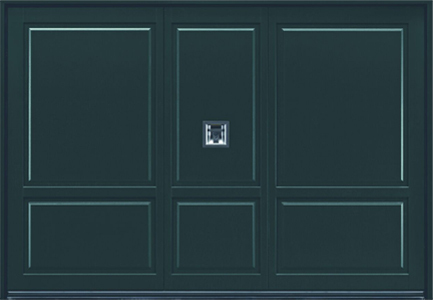 Silvelox produce a complete range of front and side entrance doors to coincide with the aesthetics of the garage doors. 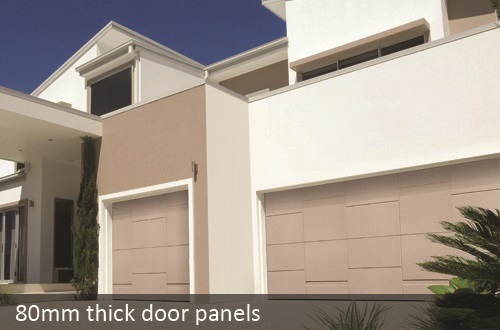 Built with the same exceptionally high specifications as their garage doors, they represent a worthy investment and will greatly enhance the security and harmonisation of your property. 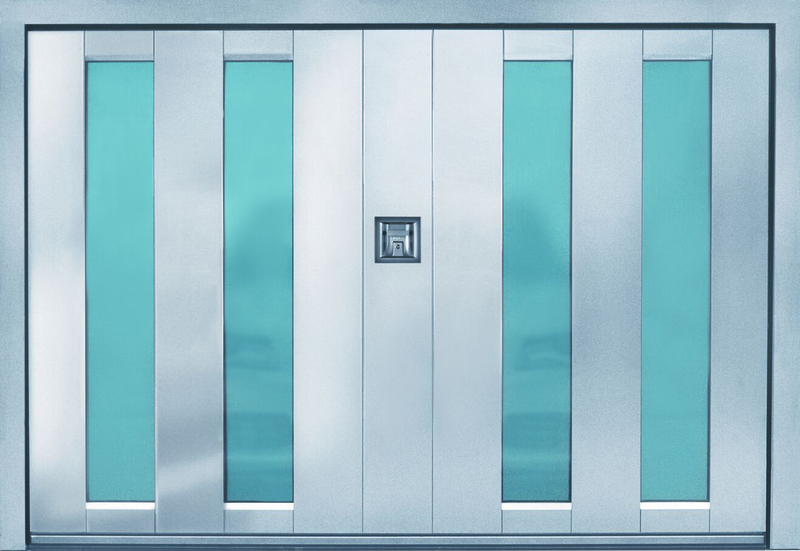 Silver: The entry level security features for a Silvelox door, however the doors are put through tests to ensure their break-in resistance. 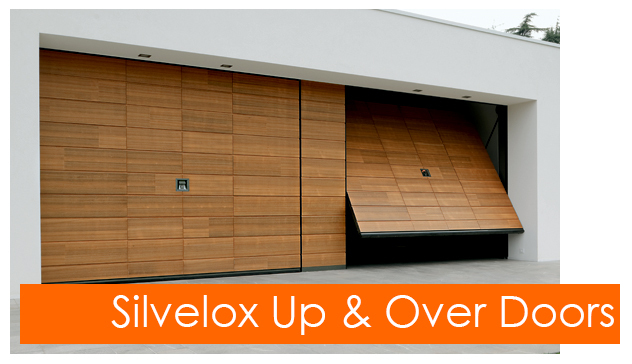 Secur: The middle ground levels of security for Silvelox garage doors. 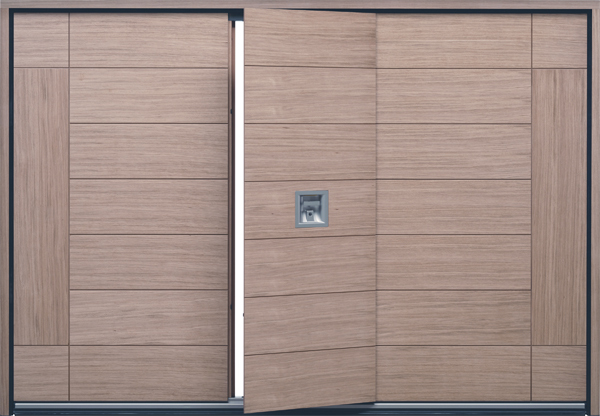 In addition to the Silver security features, Secur doors are equipped with 80mm thick wooden panels. 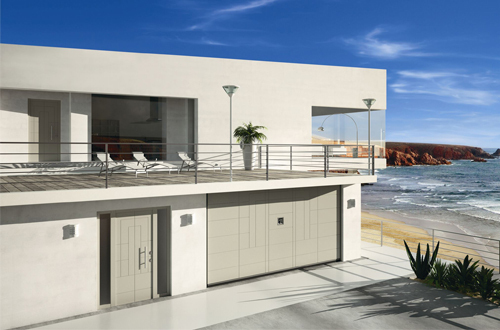 Secur Plus: The most advanced security option for Silvelox garage doors. 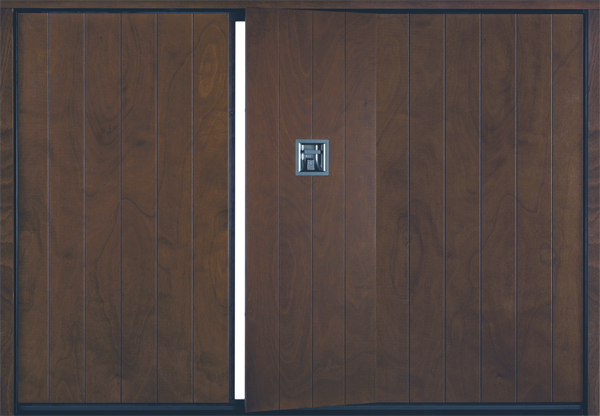 Although the door is armour-plated, the door is visually identical to a standard door and operates with ease. 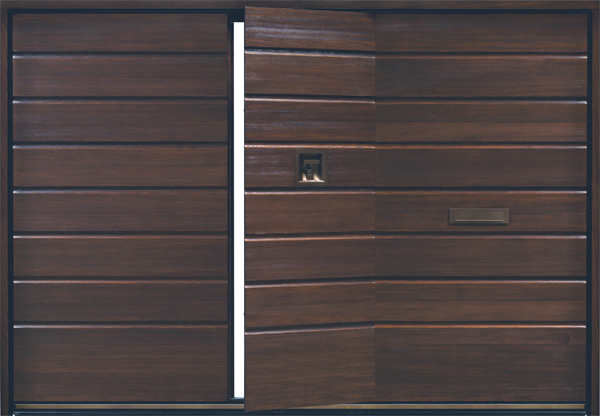 The door below is a beautiful Silvelox up and over door, the ultimate timber door with hidden pedestrian access. ...And it is now available to view in our Wellingborough showroom, come and see the wonderful character that this timber door has to offer. 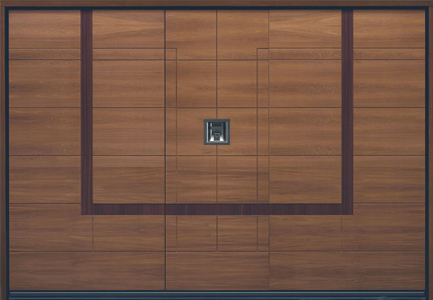 Click on the images below to view pedestrian door opening. If you'd like to find out more about the Silvelox range, speak to a professional - give us a call on 01933 229135. 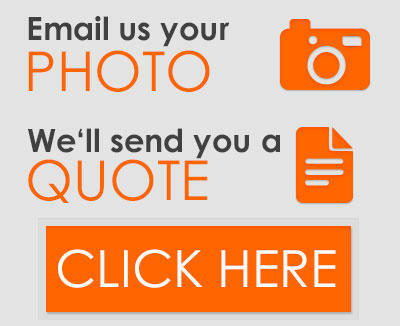 You can also contact us via e-mail at enquiries@thegaragedoorcentre.co.uk or visit us at our Northamptonshire showroom. 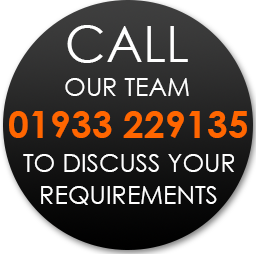 Our helpful, knowledgable team will be happy to answer any questions you may have about our range of Silvelox doors in regards to your own specifications.